Displays are essential for a wide variety of consumer electronics products, such as mobile phones, wearables, IT and TVs as well as virtual reality, automotive and signage. 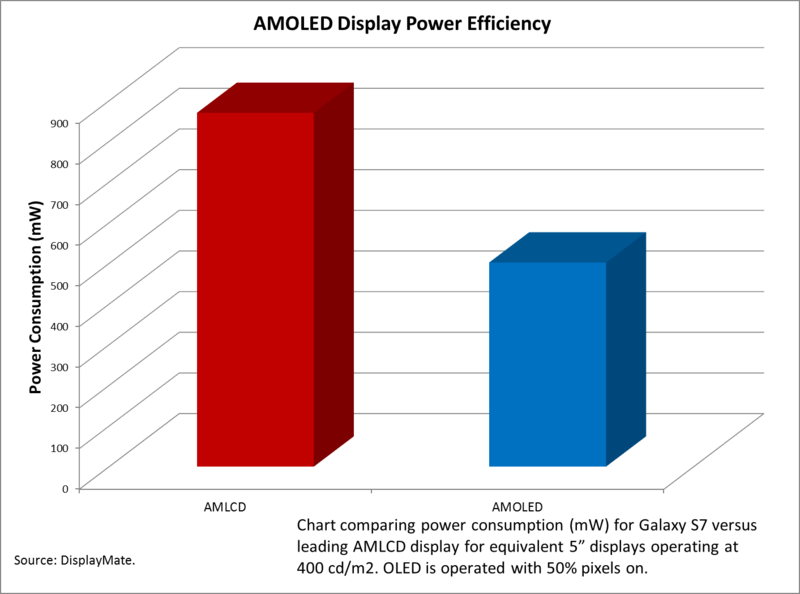 Compared to LCDs, OLEDs provide markedly improved performance features. OLEDs are thinner, lighter and more attractive than LCDs, and offer much faster response times, wider viewing angles, higher contrast ratios and brighter, more saturated colors – for a more enjoyable viewing experience. With Universal Display’s proprietary UniversalPHOLED® technology, OLEDs can also be more energy-efficient than LCDs. OLEDs are already cost-effective for mobile applications. In smartphones, OLEDs have already proven themselves to have cost parity in a like-for-like basis with LTPS high-end LCD screens. As illustrated below, OLEDs have fewer processing steps and are also less component intensive than today’s LCDs, notably with the elimination for the need of a backlight (OLEDs are self-emissive). As OLED manufacturers continue to gain experience, OLED production yields are improving and larger-scale equipment is coming on line. As a result, production costs will continue to decrease – ultimately enabling even large-sized OLEDs to outperform LCDs on a cost basis.